Raaga.com: New twist in Salman Khan’s 2002 hit-and-run case; Salman Khan’s lawyer tries to negate prime witness Ravindra Patil’s statement! New twist in Salman Khan’s 2002 hit-and-run case; Salman Khan’s lawyer tries to negate prime witness Ravindra Patil’s statement! The strongest factor in the Salman Khan 2002 hit-and-run case is the statement of prime witness of the case - constable Ravindra Patil, who incidentally is no more but before his death he has recorded his statement in front of a magistrate calming that Salamn Khan was at the wheel and was under the influence of alcohol. Patil in the recorded statement had also declared that he had advised several times Salman Khan to stop and let him drive but he ignored him and committed the crime. It was Ravindra Patil’s this statement that played a vital role in the session court and the judge ruled five years rigorous imprisonment for Salman Khan but thanks to Salman Khan’s influential status, power and money Salman secured interim bail for two days by High court within hours. The brainchild behind this sudden development was none other but India’s highest paid lawyer Amit Desai. So now you know why Salman Khan was able to heave a sigh of relief when he was literally on verge of going to jail. However Amit Desai’s work has not ended because Salman Khan is only on bail and the case is still in progress. 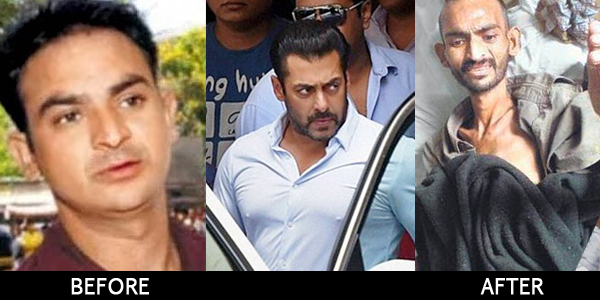 Hence to make Salman Khan a ‘Free Man’ Amit Desai is cleverly trying to negate the most vital statement of constable Ravindra Patil as he is aware that if his statement is negated than the case will turn in Salman Khan’s favor. Hence in the ongoing appeal filed by Salman Khan against the five-year sentence awarded to him by the sessions court in Bombay High Court advocate Amit Desai argued that the Criminal Procedure Code lays down that the evidence recorded before a magistrate cannot be treated as an evidence before a sessions court. Yet, Patil's statement was treated as evidence before the session’s court which is wrong. Further to make his claim stronger and make Patil’s statement ineffective advocate Amit Desai cunningly demanded to probe Kamaal Khan, a friend of Salman Khan, who was along with Khan in the car and had accompanied him to Rain Bar and Restaurant and JW Marriott Hotel just before the mishap. In nut shell Desai has given a new twist to the case and has probably been successful in dragging the case for at least a decade!! !